There is more to graduate studies than research - join a sports team, perform at the departmental music night, or take some time off to experience Vancouver. The PHAS GSA is a small body of grad students who aim to maintain a community within the department by organizing a variety of events. Throughout the year we run a few big events for new and prospective grad students (New Graduate Student Mixer, Graduate Student Open House Social Party), but also run a series of small, simple social gatherings: weekly pub nights on campus, hiking trips, intramural sports teams, Karaoke nights, and lunch-time BBQs, for example. 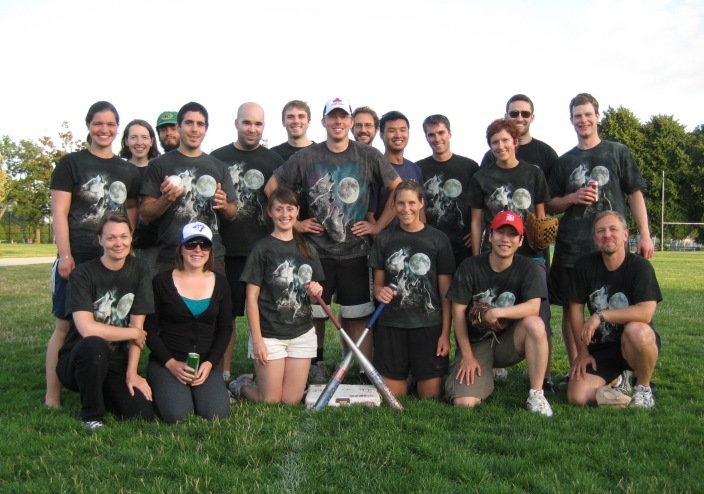 The goal for Equity and Inclusion in PHAS at UBC is to build a community to foster a supportive and empowering environment for underrepresented groups in physics and astronomy. The group runs regular events and meetings to engage the community in conversatoins about relevant issues. To learn more, visit its website and subscribe to its email udpate. The Three Minute Thesis (3MT) is an academic competition that assists current graduate students with fostering effective presentation and communication skills. Participants have just three minutes to explain the breadth and significance of their research project to a non-specialist audience. 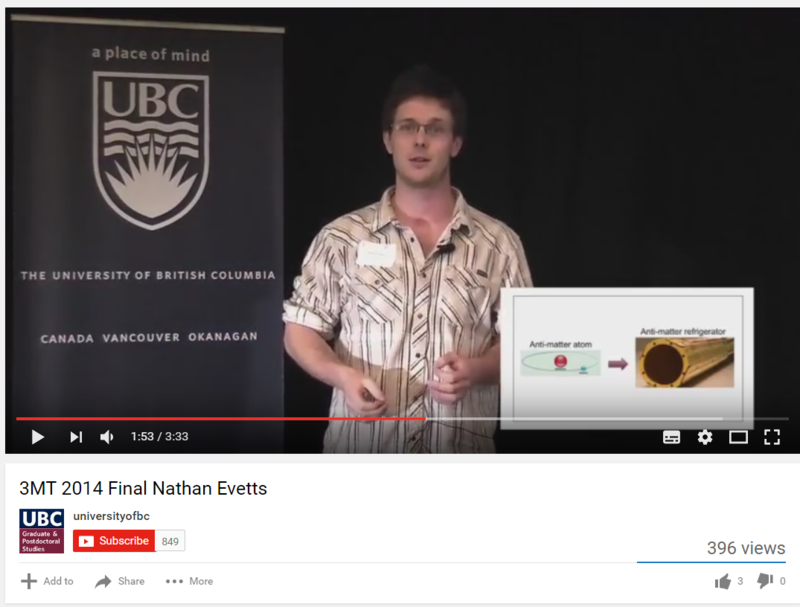 PHAS graduate student Nathan Evetts was a UBC finalist in 2014. The University of British Columbia is the oldest university in the Province of British Columbia and one of the largest and best-funded universities in Canada. Incorporated by the Provincial Government in 1908, UBC welcomed its first students in 1915. The campus was moved to its present location at Point Grey in 1925. Point Grey, at the tip of a peninsula southwest of Vancouver, provides a beautiful setting with spectacular vistas of Howe Sound, the Gulf of Georgia, and the Coastal Mountains, and offers beaches well suited for walks, quiet reflection and constant opportunities to appreciate native waterfowl and marine shorelife. Pacific Spirit Park, which borders the north side of the campus, is a protected rainforest and the second largest urban park in North America. 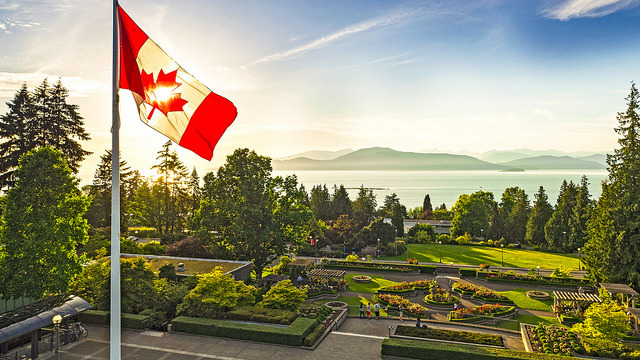 In such a natural setting, yet only minutes from the hustle of the City of Vancouver, UBC has evolved into a thriving academic community and global centre of learning and research with state-of-the-art facilities, and offers a wide range of academic and professional programs. In just over 100 years, Vancouver has become a thriving centre of industry and commerce, a major player in global trade and an important Pacific Rim sea port. Renowned worldwide for its spectacular harbour setting, striking architectural landmarks, recreational offerings, majestic scenery and multi-cultural diversity, Vancouver is ranked as one of the top tourist destinations in the world. Take a jog along the Stanley Park seawall, relax at the beach at Spanish Banks or English Bay for a bit of sun, and then cross the Lions Gate Bridge to take the Skyride up 4100' to Grouse Mountain's summit for an incredible view of the city at sunset. In the evening, attend one of Vancouver's theatres for a play or some music (many offer reduced prices for students): The Queen Elizabeth Theatre, home of the Vancouver Opera Society, also presents large scale productions and big ticket performers; the venerable, ornate Orpheum Theatre, home of the Vancouver Symphony, with its sensational acoustics; the Centre in Vancouver for Performing Arts, which presents lavish entertainment from all over the world. Check out some experimental theatre or dance at the Firehall Arts Centre or the Vancouver East Cultural Centre, or a popular play or musical at the Arts Club's venues on Granville Island and the Stanley Theatre. In the summertime, check out the Bard on the Beach Shakespeare festival at Vanier Park. If it's rock spectacle that you need, then BC Place Stadium and Rogers Arena are the places to be. Vancouver has a dynamic multi-cultural mix, providing fascinating sights, sounds, and situations as you wander through its neighbourhoods. You will find an endless variety of international cuisine, and shops displaying wares from around the world. The Vancouver Art Gallery, located in the heart of downtown at the Robson Square complex, showcases a permanent collection and brings in visiting international exhibitions. Other galleries showcasing contemporary, experimental, Canadian Federation artists and more, can be found along South Granville Street on a stretch known as Gallery Walk. Science World, one of the few remaining Expo '86 exhibit buildings, is now a permanent science centre, with interactive displays and changing exhibitions. 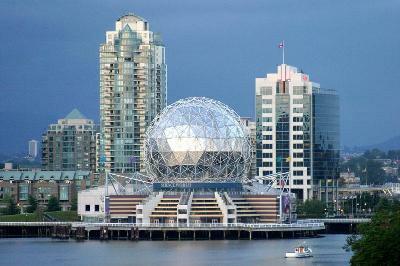 Science World is also home to one of the world's largest Omnimax dome movie screens. If a day with some greenery is called for, Stanley Park, only a 10 minute walk from the downtown core and one of the largest urban parks in North America, might suit you. While there, check out the Vancouver Aquarium and the Salmon Stream Project, and hunt down Siwash Rock, Lumberman's Arch and a collection of Totem Poles. The Vancouver Aquarium Marine Science Centre not only showcases a fine collection of aquatic life but is also a respected center for research and marine mammal rescue and rehabilitation. Or you might try Queen Elizabeth Park, located at the highest elevation in the city, with its manicured quarry gardens and the Bloedel Floral Conservatory. For a bit of rugged West Coast shoreline, hike the trails, climb the rocks and feel the ocean breeze at Lighthouse Park in West Vancouver or explore Pacific Spirit Park at Point Grey. For some tranquil moments, visit the Dr. Sun Yat-Sen Classical Chinese Garden, scrupulously modeled after 13th-15th century Ming Dynasty gardens, and the only full-scale classical scholar's garden outside of China and the first built anywhere in the last 500 years. Are you a sports fan? You'll have some home teams to cheer for: the Vancouver Canucks for hockey at GM Place, the Vancouver Whitecaps for soccer at Swangard Stadium, the BC Lions for football at BC Place, and the Vancouver Canadians for baseball at Nat Bailey Stadium. 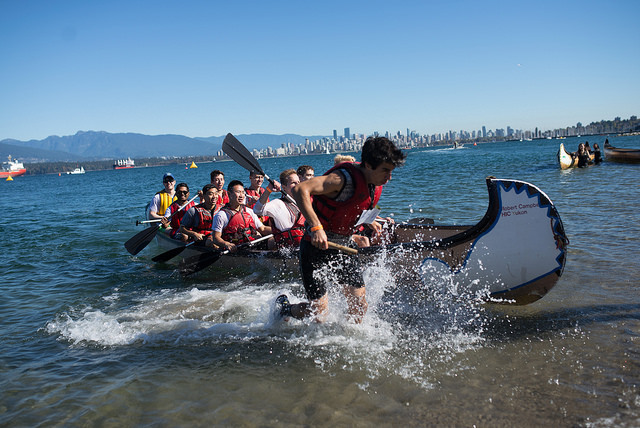 As a recreational playground, Vancouver has it all, with excellent indoor sports facilities, 13 beaches, numerous jogging, hiking, skating and cycling routes, numerous beach and marina facilities geared for swimming, sailing, kayaking and windsurfing, and West Coast terrain that provides opportunities to mountain climb in the summer and pursue alpine sports in the winter. Local ski runs at Grouse Mountain, Mount Seymour, and Cypress Bowl are 20 minutes away from downtown Vancouver. And Whistler, site of the 2010 Winter Olympic Games and North America's premier ski resort, is just two hours away via the spectacular Sea to Sky Highway. (UBC's Alma Mater Society maintains the UBC Whistler Lodge, enabling students to experience world-class ski runs and the international flavour of Whistler Village at reasonable rates). The Vancouver Museum, H.R. MacMillan Planetarium and Space Centre, and Observatory Complex. 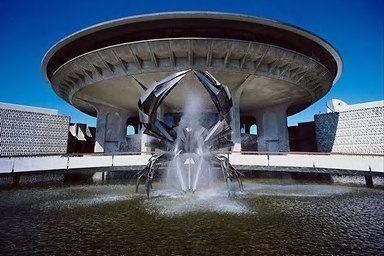 The Vancouver Museum is the largest civic museum in Canada. We encourage you to take the time to explore and enjoy Vancouver's many attractions when you can take a break from your studies and research at UBC. 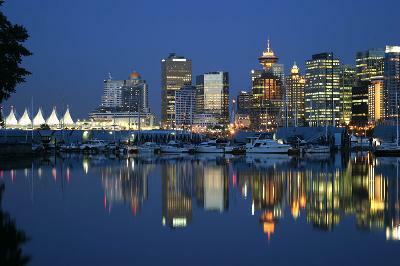 We hope that your experience at UBC and your stay in Vancouver will be rich, rewarding, and memorable.